It’s difficult to get the perfect ice-cream scoop but with ice-creams trending on Instagram at the moment, it’s important your ice-cream looks good! To make your ice-cream Instagrammable, try our ice-cream scoops and portions available in a range of sizes, designs and gadgets. With stick-resistant material, easy to remove gadgets and easy grip designs, our ice cream scoops and portions are perfect for your photogenic ice-creams. We stock a full range of ice-cream scoops from leading brands that are perfect for commercial kitchens. Ice Cream Scoops For Professionally Served Gelato! Ice cream scoops will help you serve the perfect portion of ice cream but they are probably not the only kitchen utensil you need for your busy catering establishment! Luckily at Pattersons Catering Supplies we stock an extensive range of serving utensils as well as kitchen tools. Find out more about our range of kitchen equipment online today. 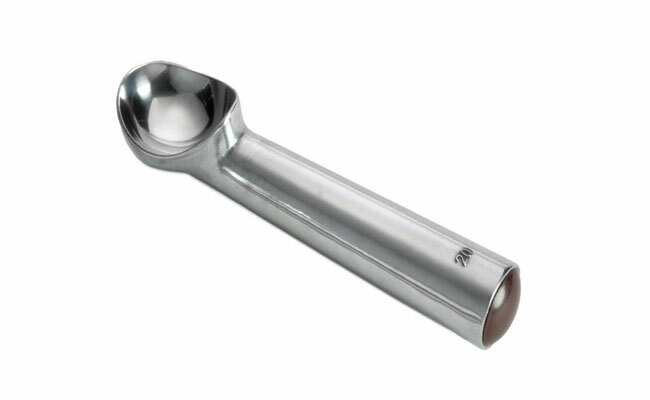 FREE UK delivery is available on qualifying wholesale orders of ice cream scoops and kitchen utensils.